First the Office of Compassionate Use has been renamed to The Office of Medical Marijuana Use and the registry has also changed its name to the medical marijuana use registry. Medical Marijuana and the Delivery Services are now exempt from state taxation that would otherwise be imposed under ch. 21, F.S. Eliminate the 90-day waiting period. Now you can receive your prescription as soon as you get the ok from the State instead of waiting 90 days. Patients can receive low-THC and Full-THC. In the Edible department, they cannot be colored, they cannot be in fun shapes, they cannot be marketable towards the youth at all or any simulation of it. Seasonal Residents can now receive their Medical Marijuana Cards, under certain proof of residency. Even if you are a one month resident you can now receive your Florida Medical Marijuana card. Certain restrictions include a lease to show your residency and a written statement from an existing resident. Each District School Board is required to adopt a policy and procedure for allowing student patients to use medical marijuana obtained pursuant to law. When it comes to children, you must have the immunizations up to date. All parents must have a Caregiver Card as well. Established qualifications for Caregivers were established in order to stop patient abuse. They now require caregivers that aren’t related to have a background check as well go through a course. 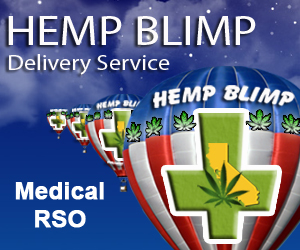 You can now receive up to three – 70 day supply limits of Medical Marijuana. Versus the two – 45 day limits. This is a great obstacle that has been conquered. The Doctor only evaluates you once every 30 weeks before issuing a new physician certification. 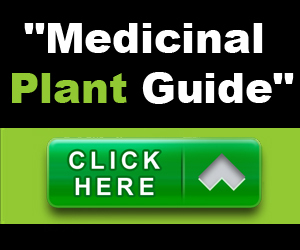 Create the Coalition for Medical Cannabis Research and Education (Coalition). Lots of research programs and educational materials will be reaching our residents through various forms of communication. Medical Marijuana is not reimbursable under ch. 440, F.S., relating to workers’ compensation. Medical Marijuana is still not covered by the Insurance companies. It would need to be accepted Federally before that is ever brought to the table. Your card can be voided and there can be criminal penalties if a qualified patient or caregiver cultivates medical marijuana or acquire it from anyone other than a Medical Marijuana Treatment Center. It is unlawful for a Medical Marijuana Treatment Center to give Kickbacks to Physicians. Must have your Medical Marijuana Card with you at all times that you would have if you have any of your medicine on you and you must show it if police enforcement ask for it. All these laws are now in effect and have been signed into law. What does this mean? There is more eligibility for patients in need of Medical Marijuana. I am very excited to see the turn out. The state expects us to have half a million patients registered in Florida by 5 years time. I personally think that we will have half a million patients within 2 years time. The rules are going to be relaxed over time as Florida experiences the growing pains. At this point there is still no flour allowed but the rules are bound to change as they have in the preceding states.